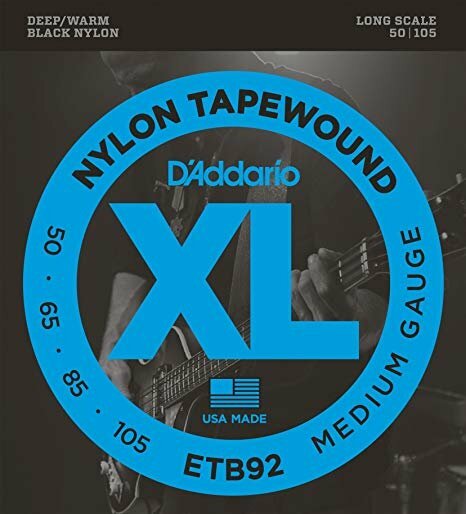 The ETB92 black nylon tapewound set offers the ideal combination of warm, deep tones with an ultra-smooth feel. This set offers a vintage tone ranging from the “thump” of an upright bass to the focused depth of traditional flatwound strings. Fits long scale basses with a string scale length of up to 36 inches.